Prime Minister Datuk Seri Najib Abdul Razak has appealed for calm following the Molotov cocktail attack on the Church of the Assumption in Lebuh Farquhar, George Town, Penang, today. He said he has directed action be taken to prevent provocative acts that may affect race relations. "I've always said that, as a government, we should place importance on peace and harmony, and that we will do our best to maintain it based on the rule of law. "It is time for us to stay calm and not to act rashly in any situation as this will be detrimental to the nation," he said after attending a book launch on maps of Malaya and Borneo here today. The prime minister said the authorities should be left to conduct investigations into the 1.30am incident where two Molotov cocktails were thrown into the church compound, with one hitting a shrine, causing a small fire, while the other fell harmlessly. The attack came after provocative banners were found put up outside five churches in Penang – Lutheran Church of Victory, St John Britto Catholic Church, Church of the Immaculate Conception and Church of the Assumption on the island, and the Church of the Nativity of the Blessed Virgin Mary in Butterworth. No one was injured in the 1.30am incident at the church located near Penang's "harmony street", where a mosque, temple and church stand close to each other. 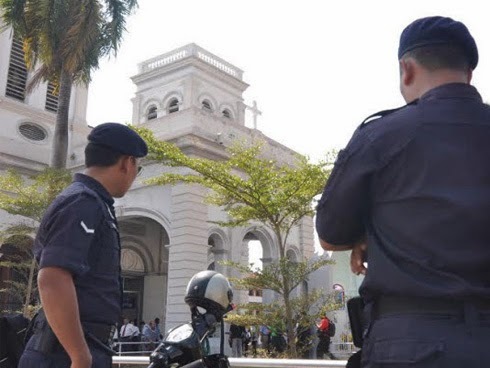 Penang police chief Datuk Abdul Rahim Hanafi said the church caretaker alerted the police and managed to put out the small fire caused by Molotov cocktail. Closed-circuit television (CCTV) footage showed two men fleeing the scene following the attack. Abdul Rahim said police were trying to establish their identities as well as hunting for them. "We view this matter seriously," he told a press conference today where he urged those with information about the matter to contact the police. 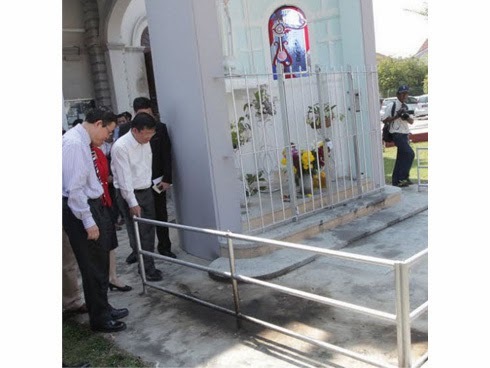 In Penang, Chief Minister Lim Guan Eng and a group of state executive councillors visited the church, with Lim saying that the state government stands in solidarity with churches here. He called on the people to stand united against racist and extremist groups. Lim said Abdul Rahim had promised that some 250 additional policemen will be patrolling places of worship around the state to ensure security. "The Penang state government will continue to work with all parties and the police to preserve public order and security," he said. City Parish Priest Father Dominic Santhiyagu, who was present at the church, said the petrol bomb attack and the provocative banners were unprecedented. He advised the public to stay calm over the incident, adding that the church had always preached peace and love of one another. Meanwhile, Christian leaders called on the community to stay calm with Christian Federation of Malaysia (CFM) chairman Rev Dr Eu Hong Seng saying that such acts should be condemned. His view was echoed by Council of Churches Malaysia secretary-general Rev Dr Hermen Shahstri called for vigilance among Christians in the wake of such irresponsible acts. The stage is set for yet another by-election as Kajang lawmaker Lee Chin Cheh tendered his resignation as assemblyman today. 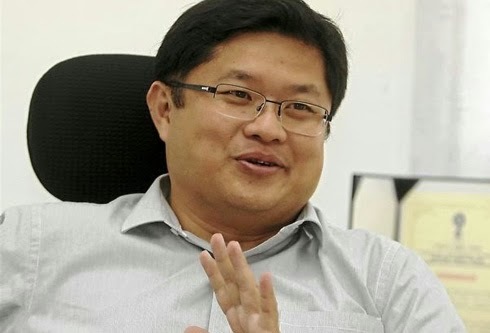 The resignation was confirmed by Selangor speaker Hannah Yeoh, who said Lee did not give a reason for his resignation and that the Election Commission (EC) will be informed tomorrow that the seat has been vacated. "Yes, resigned today on 27 January 2014; I will inform the EC tomorrow," Yeoh said in a text message to theSun. "No reason stated in letter; according to state constitution 68, assemblymen can tender their resignation (without specifying reasons)." Speculation is rife that the seat was vacated for Pakatan Rakyat de-facto leader Datuk Seri Anwar Ibrahim to contest and eventually replace PKR treasurer-general Tan Sri Abdul Khalid Ibrahim as Selangor Menteri Besar. It could also be an extension of the long-standing feud between Abdul Khalid and PKR deputy president Azmin Ali. 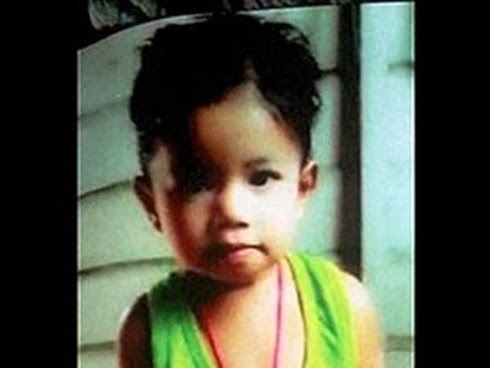 Police are tracking down individuals who had irresponsibly circulated pictures of a two-year-old girl found dead and believed to have been murdered at a vacant house at Taman Perumahan Permint Seberang Paka, Dungun yesterday. State CID chief ACP K. Manoharan said the individuals would be investigated under the Communication and Multimedia Act, and under the Child Act. "We view this matter seriously. It is a despicable act. The culprits are circulating the pictures without any consideration for the feelings of the family," he told a media conference here today. The toddler was found in the bathroom around 3.30pm by a patrolling security guard who detected a stench and entered the house through the front door which was ajar. Opposition leader Datuk Seri Anwar Ibrahim was denied entry into Tokyo on Sunday morning. In a blog posting, Anwar wrote, “I protest in the strongest terms this unwarranted action of the Japanese government in refusing me entry and denying my legitimate rights to travel freely without let or hindrance." 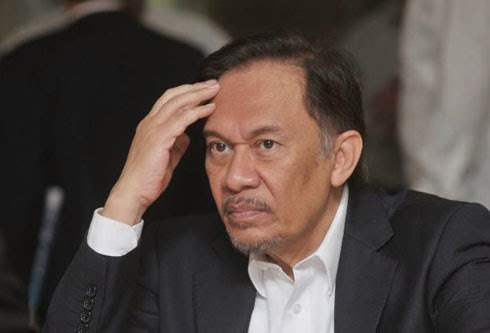 “It is indeed inconceivable for one of the world’s leading democracies to take this unprecedented action under such tenuous grounds and leaves me with the impression that hidden hands may be at work here,” Anwar alluded in his blog to interference by certain parties as a cause of his denial of entry. The Permatang Pauh MP arrived at the airport at 6.46am from Kuala Lumpur but was denied entry by immigration officials. Instead, he was told to board the first flight back or face deportation. Anwar cooperated and boarded the 10.45am flight to Kuala Lumpur. The explanation given to him behind his expulsion was his previous conviction in 1999. “I told them this could not be a valid reason on account that prior to this I had already entered Tokyo without hindrance on three previous occasions in 2006, 2009, and 2012. I told the immigration authorities there must be some mix-up in this matter and protested that it was not proper for them to bar me from entering the country without a bona fide and valid reason,” said the statement. When pressured for another reason, officials disclosed that the action was taken ‘because of a latest report’, Anwar said. Anwar went on to demand an explanation from the Malaysian Minister of Foreign Affairs over the matter. Anwar also added that his office had earlier made routine inquiries with the Japanese Embassy in Kuala Lumpur and was given clearance. According to the blog post, Anwar went to Tokyo after receiving a personal invitation by Yohei Sasakawa, Chairman of the Nippon Foundation, to present a paper on Muslim Democrats. 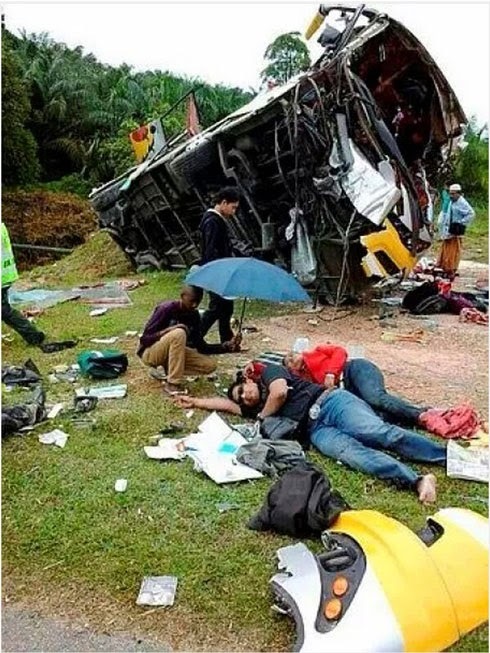 BATU PAHAT: Three people were killed when an express bus lost control before hitting the road divider and overturned at KM 107.2 near Yong Peng of the North South highway this afternoon. The victims were identified as Mohd Sofwanul Hakim Mohd Zaidi, 21, his cousin Mohd Amirul Asyraff Yaakub, 23, and Mohammad Zikri Othman, 10. The bus was travelling from Kuala Lumpur to Johor Baru when the accident occurred at 2.10 pm. There were 19 people on the bus at the time of the accident, including the driver. Seven of the passengers suffered serious injuries and were sent to the Sultanah Fatimah Specialist Hospital in Muar for further treatment while the remaining eight passengers and the driver, who escaped with minor injuries, were taken to the Sultanah Nora Ismail Hospital here for treatment. Among the passengers were five Indonesians and one Filipino. Filipino Ruby Santos, 28, said she was stunned when the other passengers started to scream as the bus started to shake violently before overturning on the left side of the highway. "I was thrown out of the bus through the front windshield, injuring my leg in the process," said Santos. Witness Amil Ibrahim, 41, who was driving to Kuala Lumpur from Yong Peng, said he saw several victims lying by the side of the wrecked bus. "I managed to help some of the victims, who were crying and suffering cuts and bruises." 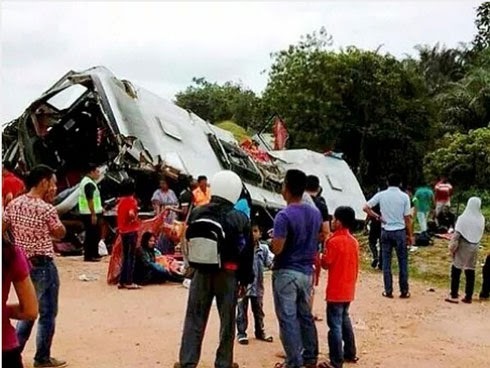 Batu Pahat police chief Assistant Commissioner Din Ahmad said the cause of the accident is still being investigated and the case has been classified under Section 41 of the Road Transport Act. Yesterday, millions of Hindu devotees will gather in Hindu temples all over the country to celebrate Thaipusam. Also known as Thaipooyam or Thaippooyam in Malayalam (in Tamil,Thai refers to the month that falls in January or February and Poosam means celebrating the full moon), it is a day to commemorate Lord Muruga, one of the deities in the religion, who is also the son of Lord Shiva and Goddess Parvati. Thaipusam is also a celebration to mark a religious event in Hindu mythology where Lord Muruga defeated the evil entity Soorapadman using a lance (Vel) from his mother. Muruga’s triumph over evil and him restoring peace and harmony has since been a sacred historical event for Hindu devotees to celebrate. One of the most identifiable features of Thaipusam is the display of gratitude by devotees at Thaipusam festivals. Kavadi Attam is a dance performed by the devotees during the ceremonial worship of Lord Muruga. In Malaysia, Kavadi is also a Thaipusam ritual that has become a tradition among the Hindu devotees, where they wear and carry an apparatus on their bodies and walk barefooted up the steps of Batu Caves. This apparatus is meant to be burdensome, as it features sharp, pain-inducing spears that pierce through the skin. Accepting suffering and pain affliction is a vivid demonstration of devotion and worship towards Lord Muruga. 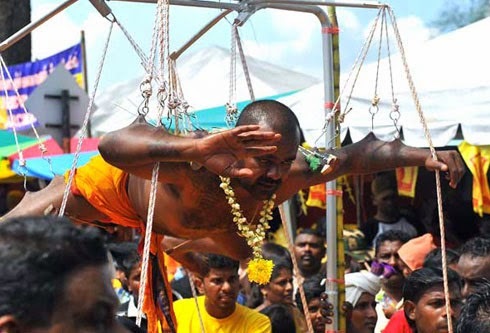 The colourful Kavadi-bearing ritual is a fascinating feature of tourism activities in the country, particularly during Visit Malaysia campaigns, attracting hundreds and thousands of tourists to marvel and photograph the event. Today, as it is every year, the festival of Thaipusam will take place at the Sri Subramania Swamy Temple, Batu Caves. Tourists and Hindu pilgrims from inside and outside the country will participate and relish upon the splendour of the religious ceremony which is held at one of the oldest Hindu temples in the world. They too, along with local people, join in the celebration by ascending the arduous 272 steps into the mouth of the temple's cave. Stephen Sren, 27, admits that the main reason he came to the country was because he wanted to witness the events of Thaipusam. Sren (left) with his friend wouldn't miss Thaipusam for anything. “I was told that Thaipusam is going to be a huge and colourful event. For sure I am not going to miss this,” said the young German tourist. This is the his first visit to Malaysia and he chose Batu Caves as his first point of interest. “My friends had continually told me about this place, so I had to see it for myself,” added Sren who came here with a friend. He also found that there are various types of public transportation services available allowing him to reach Batu Caves without any hassle. “The public transportation here is welcomingly efficient,” said the lanky male tourist. Sren was also enthralled by the gargantuan 42.7m statue of Lord Muruga standing in front of him that he said, “I am so glad I am here to see this”. The tall 140-feet structure was built at a cost of RM2.5 million, took 3 years to complete by 15 sculptors from India. As Thaipusam is a religious ceremony that attracts tourists, Malaysians are encouraged to play their part and promote the event. 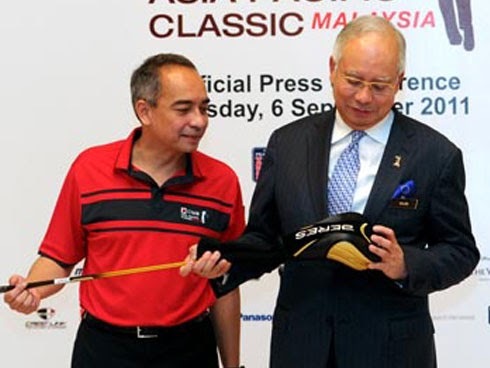 Dato' Seri Mohamed Nazri bin Abdul Aziz, Minister of Tourism and Culture Malaysia in a report published in the local daily Berita Harian, said he implore all Malaysians to support and ensure the success of Visit Malaysia 2014 (VMY2014). “It is a duty for all Malaysians to ensure that our guests are treated with respect and tact when we introduce the many tourist attractions our country has to offer,” reminded the Minister. The tourism ministry reports that VMY2014 will welcome some 28 million tourists, bringing a potential tourism revenue of RM76 billion. A university student who hails from Syria, Mazen Al-Dabbas, 24, said there was never a year went by where he didn’t visit Batu Caves. “Before I came to Malaysia to further my tertiary education, I did a lot of research on religious history and the legends about Lord Muruga brought me to Batu Caves. Previously I had no idea about Thaipusam. “The uniqueness of the Hindu religion as one of the world’s oldest religion, the fantastic legend of Lord Muruga, the majesty of Batu Caves – which has hundreds of steps - and the giant Lord Muruga statue are all amazing to tourists,” said the Syrian, who studies at Limkokwing University. We were at Batu Caves days before the day of Thaipusam and already there were Hindu devotees resplendent in yellow garb paying their ‘dues’ at the temples. Shamala Shanmugan, 27, who was accompanying her father, said avoiding the hustle and bustle of Thaipusam day is the reason why some devotees chose to pay their dues a few days earlier. Some chose to 'redeem' themselves days before Thaipusam just so they could avoid the hectic crowd. “My father wants to avoid the tourists who are expected to crowd the place, that’s why he decided to come here a few days earlier. Ordinarily, the breaking of the coconut shell and head-shaving are done on the day itself,” explained Shamala. Meanwhile, Faizal Azhar, 33, shared his view as a non-Hindu.Some chose to 'redeem' themselves days before Thaipusam just so they could avoid the hectic crowd. Some chose to 'redeem' themselves days before Thaipusam just so they could avoid the hectic crowd. According to him, every religion has its own way to absolve the self from sins, and as a Malaysian of a different religion, he knows he must respect the differences in religious obligations. “In any houses of worship, there has to be a set of guidelines observed. It is no different with Thaipusam. “That said, I’m sure there are those who will complain of traffic jams (because of the religious processions of Thaipusam on public roads) and not being able to enjoy their break from work but all of this is the unique feature of our country,” said the middle-aged Malay man, hoping that people will learn to be more understanding of others. 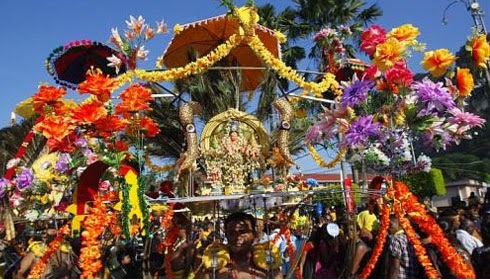 Besides Batu Caves, Penang is also an important place to celebrate Thaipusam. A tourist from Australia, Jainny Thomas, 56, shared her experience at the Balathandayuthapani Temple, a few years ago. Jainny Thomas, 56, (right) with her family. “This is my fourth visit to Malaysia and my second experience of Thaipusam festivities. The first was when I was with my husband and at the time, I could not stand the crowd and noises. But after I paid attention to what’s going on, then I started to realise that it is an important celebration. “Now I look forward to seeing the moment where they break the coconuts in large quantities. It is awesome. Also the display of the Kavadi decorations on the bodies of the bearers,” said the tourist vigorously. 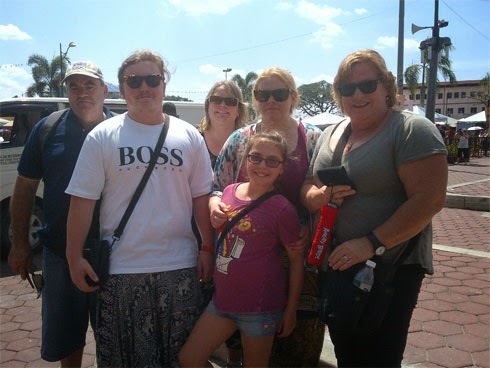 She brought her children to visit Malaysia this year so they too could appreciate what Thaipusam has to offer and at the same time take the opportunity to visit all other attractions VMY2014 has lined for tourists. Thaipusam is huge not just for the Hindu pilgrims everywhere but it is also an event that has become a strong feature of Malaysian tourism. 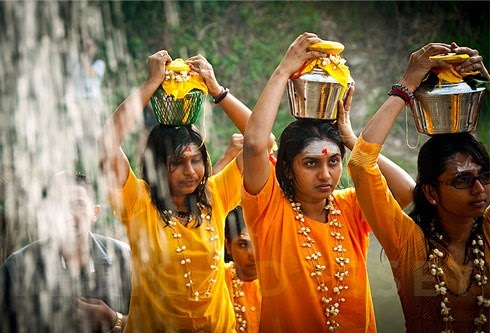 On that note, we would like to wish our Malaysian Digest Hindu readers, Happy Thaipusam! KOTA KINABALU: Power supply is slowly resuming in most areas in Sabah and Labuan after the statewide failure from 11.10am. Sabah Electricity Sdn Bhd expects the situation for the whole state to return to normal by 8pm today. As at 3pm, nearly 70% of power supply to Kota Kinabalu had been restored. 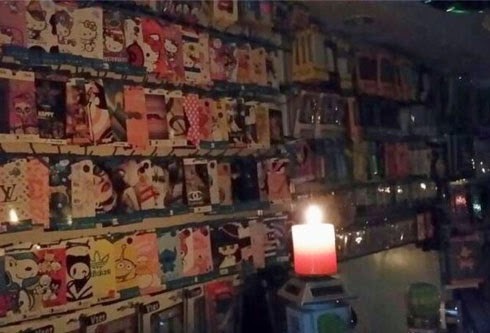 A shop selling DVD at the Centre Point shopping mall in the city lights a candle to brighten it as a power failure hit Sabah. SESB managing director Abdul Razak Salim said power supply to Ranau, Tawau, Labuan, Keningau and Semporna was back to normal by 1.55pm. The blackout was triggered by a trip at the state’s power transmission grid. Abdul Razak said the cause of the "unexpected" power failure was still being investigated. Reports of the blackout emerged on local news and social media sites two hours ago when Sabahans took to Twitter and Facebook to vent their frustrations. State Tourism, Culture and Environment Minister Datuk Masidi Manjun tweeted that a blackout had engulfed the entire state. “Blackout! Just been told by a senior officer of SESB there is power failure in the whole of Sabah. SESB is finding source of the problem,” he posted on Twitter. Netizens are pinpointing the cause of the outage to the recent flooding and several engines that had tripped in power stations. “Few engines tripped, gonna take at least 8 hours to recover…” said @Appy_Tots in response to Masidi’s tweet. Masidi responded to a Twitter user, saying “@RandomHS : the weather especially the floods could be the culprit”. According to the New Straits Times, streets in Kota Kinabalu are now congested while hospitals have resorted to back-up generators to keep operating. The daily also reported that so far, electricity supply has been restored in Labuan. The last massive blackout that occurred in Sabah was in April 2012 when a gas piping system malfunctioned and affected several independent power producers. Supply was restored within the same day. Malaysia lost its prime minister. I lost my father. Najib was 19 and I was nine. The days immediately after were shrouded in personal sorrow and national mourning.My four brothers and I sought to comfort our mother, while the public and heartfelt outpouring of grief throughout the country served as a resounding reminder that we were not alone in our time of tragedy. I must confess that given my age and my father's hectic schedule, I sometimes lament the fact that he gave so much to the country, leaving too little for his family. I recall the time when my brothers and I approached him one evening and asked that a swimming pool be built at Seri Taman, the prime minister's residence where we lived. "What will the people think?" he thundered. As the custodian of the nation's coffers, his frugality was legendary. "You had to account for every cent, or he would be on your back," one former minister told me. Of course, few people forget to recount Tun Razak's dedication to rural development. He was "People First", long before the sound bite. But above all, what they unanimously emphasised was Tun Razak's commitment to national unity – towards building a nation where every single one of its citizens could find a place under the Malaysian sun. The NEP's goal, as outlined in the policy announcement, was the promotion of national unity to be undertaken via a massive experiment in socio-economic engineering through the twin thrusts of eradication of poverty irrespective of race and economic restructuring to eliminate identification of economic function with ethnicity. The fixation on quotas and the seemingly easy route to unimaginable wealth for a select few have created an intra-ethnic divide in class and status, while fuelling inter-ethnic tensions. Both these developments serve to undermine, if not completely negate, the overarching goal of Tun Razak's NEP, strengthening national unity. What can be done? There is a Malay proverb: "Sesat di Hujung Jalan, Balik ke-Pangkal Jalan." Loosely translated, it means "When one has lost one's way, one should return to the beginning." And "the beginning" here, in my view, is the values, commitment, vision and inclusiveness demonstrated and embodied by Tun Razak. Two, while he was committed to helping improve the material quality of life for the majority Bumiputeras to avert another "May 13", he viewed this as a national prerogative rather than a racial one. That, to me, explains his determination to involve Malaysia's best and brightest in this quest, regardless of their racial or ethnic origin. That was Tun Razak's legacy to Malaysia. We can best honour it by returning to "Pangkal Jalan". Food is a faux pas minefield for politicians, especially when it's perceived as being used in a get-down-with-the-people kind of way - think of British Prime Minister David Cameron's pasty moment or Chancellor George Osborne's "posh burger" tweet. The almost inevitable response seems to be ridicule. That's where the Malaysian Prime Minister Najib Razak finds himself right now. With the government under fire because of price hikes in basics like fuel and electricity, he chose to push back by highlighting a reduction in the cost of the leafy green vegetable kangkung. Kangkung - also known as water spinach, morning glory and Chinese spinach - is widely eaten in Malaysia, and is cooked as a stir-fry with a little garlic or chilli paste. But it's cheap, grows wild alongside streams, paddy fields and drains, and is not considered a staple. Moments after a video of the prime minister was posted making the comments, the sarcasm and jokes began to trend on social media in Malaysia. There have been hundreds of thousands of tweets, a Facebook page set up - with 14,000 followers already - a YouTube re-mix of his comments, the lyrics to popular and traditional folk songs have been re-worked, and "Keep calm and eat kangkung" T-shirts have been made and rushed to market. "Kangkung-gate", as it's been dubbed by some, has hit a nerve because many people are struggling with the rising cost of living, and are resentful of what they regard as corruption, and lavish spending by the government. Unsurprisingly many opposition politicians - including Anwar Ibrahim - have seized on the opportunity to join in the collective fun-poking. The story has been so big on social media that many have complained of their timelines being clogged up. 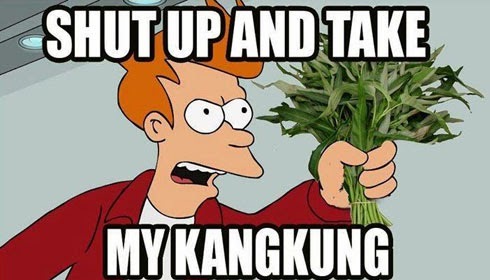 "This kangkung obsession is fast becoming a laughing stalk," tweeted comedian Kuah Jenhan. "Lettuce get to the root of the problem. We have mushroom for improvement." 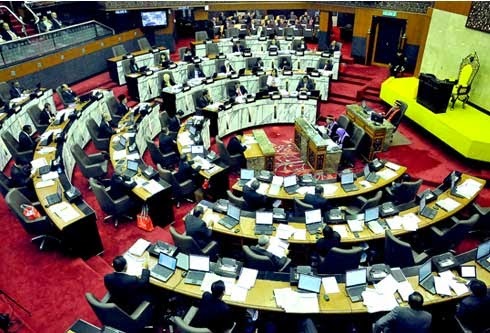 Top leaders of selangor State will still get a pay rise as decided at the Assembly meeting (Dun) last November, however, the income may be deducted for the purpose of injection into the fund of the state for the people's welfare program. Exco Housing, Building and Urban Explorers, Iskandar Abdul Samad said that salaries of ministers, speaker, deputy speaker and the members remain up as agreed among Bill Members of the Administration and Members of Legislative Assembly (Remuneration) Amendment of 2013, but it is being deducted not frozen as reported . "Rising wages remain as approved by Dun however it will be deducted to put into state Fund to implement welfare programs for the benefit of the people of Selangor. "Percentage for each position being is different," he told The Star yesterday. He as a Selangor PAS commissioner said that, salary will still increase as approved by Dun because they are not easily altered. "If you wanted to change the salary, it must be rolling in Dun, it's too complicated . Therefore, We decided the salary of ministers, speaker, deputy speaker and the members are cut to be channeled into state Fund for charitable causes, " he said. Iskandar who also a Cempaka assemblyman said that the state government decision to deduct the new increase wages effective January 1 is based on the basis of caring and empathy with the the cost of living skyrocketing among people of selangor. "This is what we agreed for the sake of people, however the wage increases among assemblyman from RM6,000 to RM11,250 will not be cut,"he added. Earlier, Chief Minister Tan Sri Abdul Khalid Ibrahim, inform the proposed increase was made based on workload among board members regardless of time and effectiveness of the reforms to the executive and the legislature. Meanwhile, State Health, Entrepreneur Development, Science, Technology and Innovation, Dr. Alwi Daroyah correct the statement in a report yesterday that the salaries of Chief minister, speaker, deputy speaker and the members are cut and not frozen as informed. "The salary is not frozen but cut. However, wait for the announcement of the chief minister for the percentage and the terms and conditions of cuts," he said. News KL 2014. Powered by Blogger.